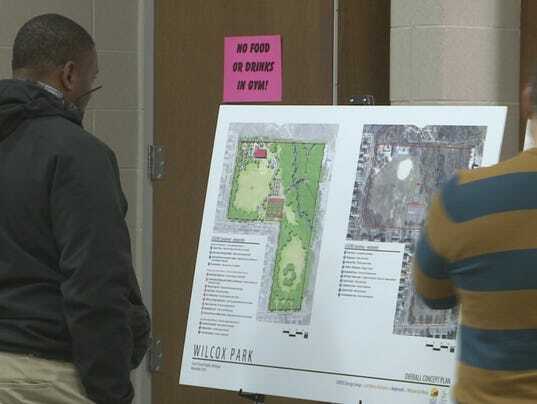 Grand Rapids, MI (WZZM) – Using money from a dedicated parks millage passed by voters last year, Grand Rapids has already taken care of some basic needs in city parks. And now there are millions of dollars available to improve and expand what else is offered in Grand Rapids parks. “We are trying to make smart choices with these decisions we are making,” says Steve Faber, executive director of Friends of Grand Rapids Parks. The Friends of Grand Rapids Parks group has been kicking around ideas with designers and residents for several months and have come up with a list of ways to improve 8 city parks. They say hundreds of people had input in the 3 phase development plan unveiled at a forum Wednesday night. The 0.98 mill property tax increase for parks is expected to raise about $30 million over 7 years. Planners say improvements will come in stages ranging from immediate to long term.